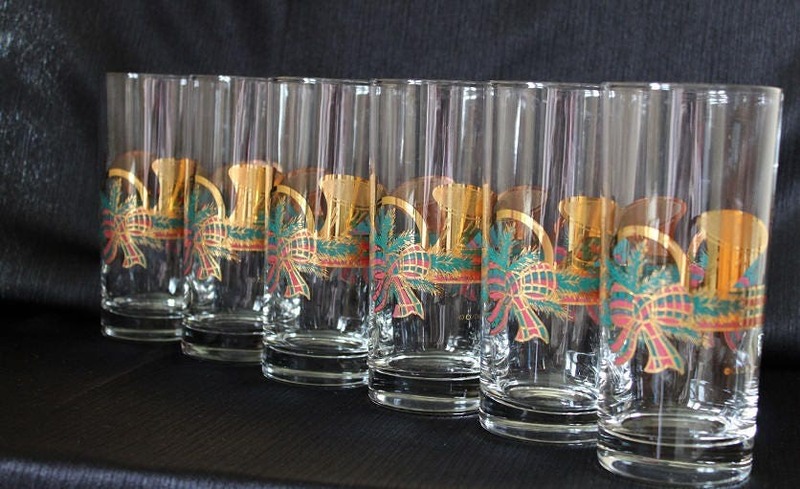 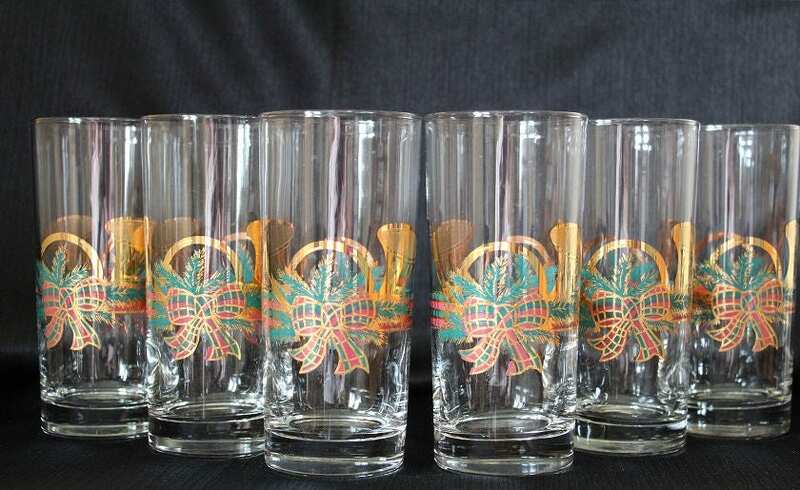 Perfect for celebrating the holiday season, these Culver flat tumbler glasses feature a Yule Horn design trimmed in 22k gold and red and green plaid ribbon circling around the middle of the clear glass. 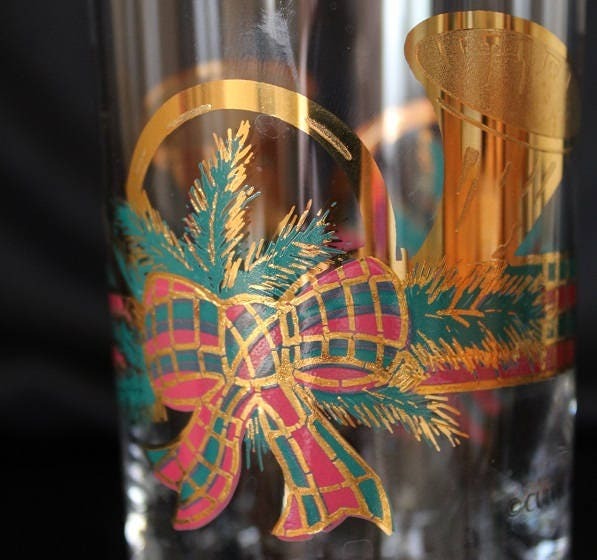 There is a matching bow against a green evergreen spray and a 22k gold horn circling on both sides of the glass. 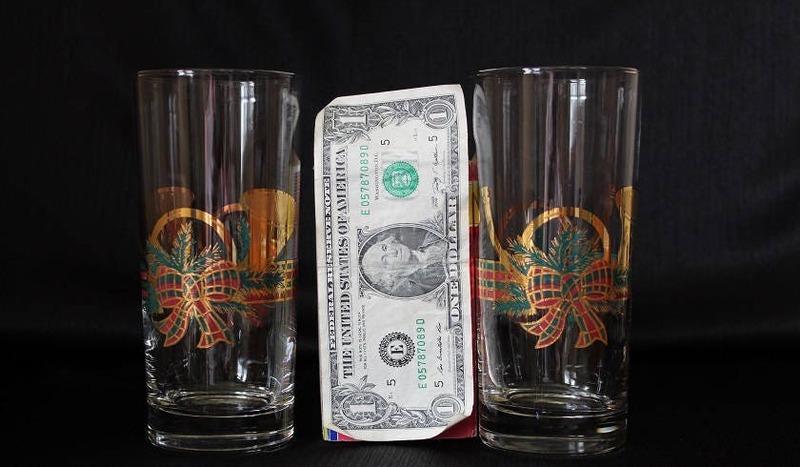 The weighted base and rim are clear. 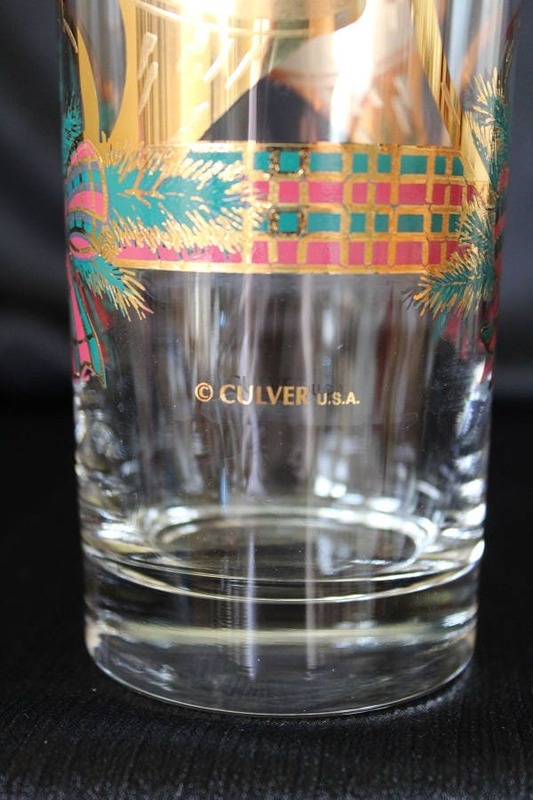 These glasses are signed "Culver USA."